At Expert Lawns we concentrate on resolving as many of the above points as we can and towards the end of each growing season, will apply a special moss treatment. After application, you will need to stay off the lawn and keep dogs off for the rest of the day (until the applied solution has dried) as it stains. Once the moss has died (discoloured) it should be raked out. 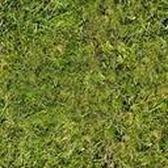 We provide Lawn Care and Moss Control & Management services across Surrey, Hampshire, Berkshire, and West Sussex.